I’m constantly trying to make this site easier to access and maneuver. I saw a feature on another website (Long Pauses to be exact) that I really liked, so I’ve emulated it with my own work. To your right, under the PAGES tab, you’ll see a DIRECTORS section. I’ve listed all the major directors covered on Match Cuts since its inception two years ago and categorized/linked their respective films reviewed in that time frame. I hope this makes traversing this site more transparent and brings in new perspectives and readers. Check it out! Neo-noir at its finest. Bloody, stylish, and brooding. Both films are interesting for different reasons. Detective Story hinges on Kirk Douglas’ enraged lead performance while Mrs Miniver evolves based on a changing collective ideology. 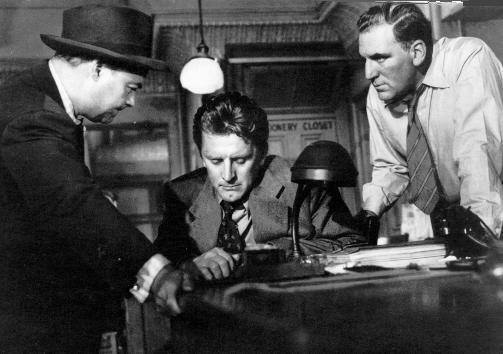 However, Wyler establishes a specific, uneasy space for his characters to traverse in both films. This includes the intricately cramped theatrical space of the Detective’s Bureau in Detective Story and the spacious, foreboding English countryside in Mrs. Miniver. These tonally different works both use space to reveal the impending dangers threatening specific individuals and communities. Maybe I’m numb from all the terrible American comedies released this year. How can any viewer go unscathed after the recent lineup of Baby Mama, Get Smart, Zohan, Pineapple Express, and even Kung Fu Panda, those with blatant lack of vision, cohesiveness, and most notably laughs. Not to mention the countless Strange Wilderness‘ I’ve purposefully dodged. Apparently there’s plenty of lazy filmmaking to go around. So maybe this context lends Ben Stiller’s Tropic Thunder a striking advantage. A thunderous punch to Hollywood’s gluttonous gut, Tropic Thunder turns the film about filmmaking sub-genre into a gory, raucous, and hilarious romp through the jungle. Downey Jr., Stiller, and Black take the extreme version of their public images and cleverly unearth the humanity aching beneath the make-up and ego. Stiller defuses the illusion of stardom and celluloid by breaking these caricatures down in brutal ways. 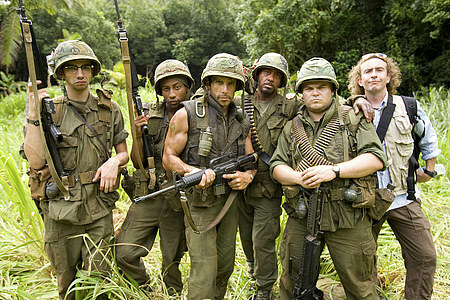 And Tropic Thunder, behind expert cameraman John Toll, feels like a vintage Vietnam War film that just happens to be a biting satire. It took me a while to confront this film and even longer to muster a reaction. As opposed to the epic and meandering terror composed in The Death of Mr. Lazarescu, 4 Months, 3 Weeks, and 2 Days keeps its scope contained to basically one room of horror (or at least a few). Cristian Mungiu infuses each long take with unsettling flourishes of character expression and discomfort, making the entire film one long, unsettling look at slow objectification and deep ignorance. Something tells me this film will reveal even more nuances upon further viewings, if I can find the courage to sit through the it again. Oliver Assayas’ Boarding Gate snakes through a cavernous international setting of deceit, a place defined by striking ellipsis’ and gaps. Assayas’ focus on obtuse and shifting characters makes the film an exhilarating and tense experience. During her murderous global trek, Asia Argento’s conflicted heroine experiences a free fall of manipulation but miraculously transcends the male dominated world around her. The film envisions cramped, tightening postmodern spaces which act as intricate forces against individualism. As the title suggests, we’re all on perpetual standby, waiting to breakthrough the overwhelming fog of technology and greed. Michael Crichton, the very influential (at least to me and my brother) author of Jurassic Park, The Terminal Man, Sphere and countless others, passed away on Election Day after a private battle with Cancer. 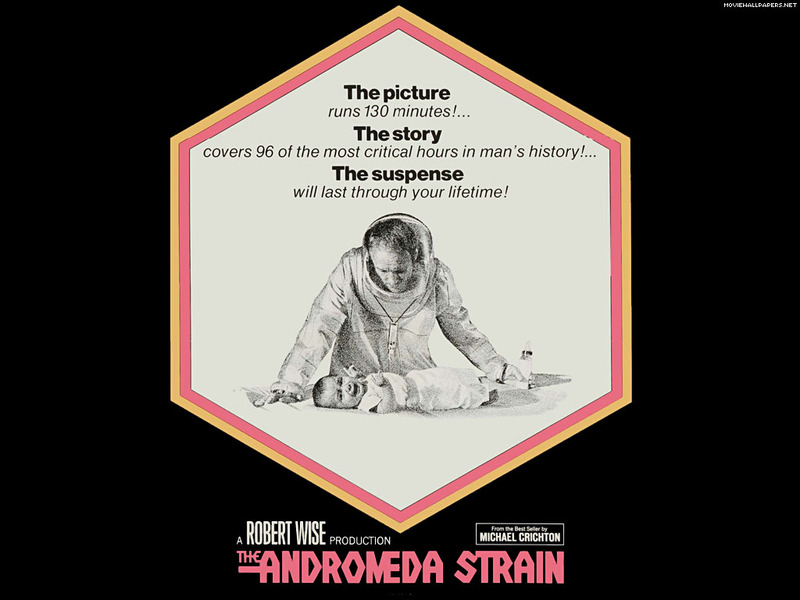 In memory of Crichton’s talents, I decided to check out Robert Wise’s adaptation of one of his first and best novels, The Andromeda Strain. As with most Wise films, the practical and restrained art of storytelling outweighs flashy gimmicks and styles (although a few split screen sequences do stand out). Wise’s no-nonsense approach fits well with Crichton’s specific jargon, producing a fascinating and odd genre bending experience that can be best described as a Science Fiction Procedural. You’ll be missed Mr. Crichton.